Today Pebble has released a major update for its popular smartwatch, enabling better integration and notification delivery from attached iOS 7 devices, a new version of the SDK (2.0) with additional APIs, and newly-enabled support for Bluetooth LE on applicable iOS devices. I've been wearing Pebble basically nonstop since first getting it, and have watched the platform slowly mature from its initial state to where it is today. Changes initially focused on improving stability, adding more watchfaces, and changing navigation, but the update today seems to be the largest yet. 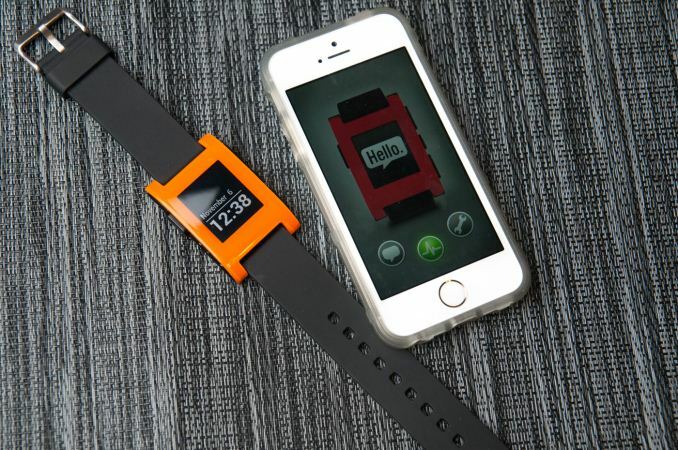 Pebble gave us a few days with a prerelease version of the firmware and iOS application to play around with, which dramatically improves the types of notifications that can be delivered to Pebble from attached iOS devices. The update specifically enables notifications to be sent from ANCS (Apple Notification Center Service) over Bluetooth LE to Pebble. ANCS is a new part of iOS 7 which seems catered almost exactly for the kind of application Pebble is designed for – a service which works with iOS applications to deliver simple notifications. One of the limitations with Pebble previously was that lacking iOS integration due to limitations with the platform, this update fills in the gap and enables iOS to deliver notifications from all applications and system apps, from what I can tell. Apple has a list of categories that APNS works with, such as incoming calls, voicemail, emails, news, and so on, this also seems to extend to all the notifications delivered by third party applications as well. In practice the new ANCS based notifications worked well for me on iOS 7 and an iPhone 5s, although there were a few hiccups where Pebble would detach from Bluetooth while running the prerelease version of the firmware, although Pebble has a fix for this. Last but not least this update enables Bluetooth Smart (formerly Bluetooth LE) on the Pebble's integrated Bluetooth controller (TI's CC256x inside a Panasonic PAN1316 module), which initially shipped disabled. Interestingly enough the implementation under iOS has Pebble show up as two devices, one for Classic, another for Smart (LE). It's important to note that only notifications from ANCS are delivered on the LE connection, the Bluetooth 2.1 (Classic) connection is used for caller ID, music remote control, installing watch apps and faces, and updates. It hasn't been long enough to really tell what affect enabling LE has had on Pebble's battery life given the short time I've been using it. Going to Bluetooth LE shouldn't magically change the power demands from Pebble for the same notification workload, however, and Pebble's guidance is still 5-7 days. 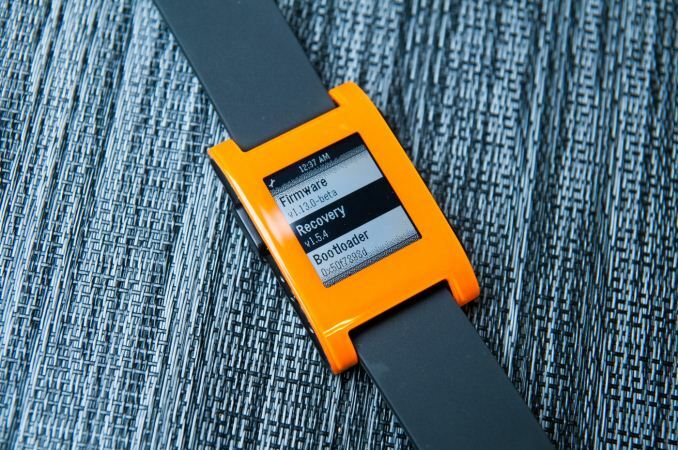 All in all though, this is a major update to Pebble that addresses many of the limitations that it previously had when used in conjunction with iOS.